During the 229-year period from 1485 to 1714, England transformed itself from a minor feudal state into what has been called "the first modern society" and emerged as the wealthiest and most powerful nation in the world.Those years hold a huge and captivating story. The English survived repeated epidemics and famines, one failed invasion and two successful ones, two civil wars, a series of violent religious reformations and counter-reformations, and confrontations with two of the most powerful monarchs on earth. What were the forces that thrust the British Empire to its extraordinary position of greatness and then just as powerfully drove it into decline? 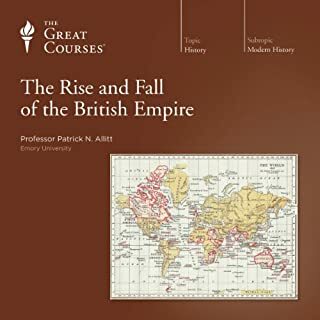 And why is nearly every nation on earth, in one way or another, the consequence of the British Empire?In these 36 lectures, Professor Allitt leads you through four centuries of British power, innovation, influence, and, ultimately, diminishment-four profound centuries that literally remade the world and bequeathed the complex global legacy that continues to shape your everyday life. Dr. Allitt is an excellent lecturer! For an accurate picture of how the political, social, and religious structure of present-day Europe came to be-and even why we're speaking English today-studying the key events between the years 500 and 1500 is of critical import. 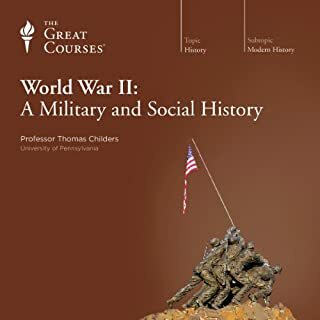 These 24 gripping lectures deliver an unparalleled look at these moments that profoundly changed the arc of history, and they weave the era's vast array of disparate events into an interconnected tapestry that illuminates why nothing exists in a vacuum. 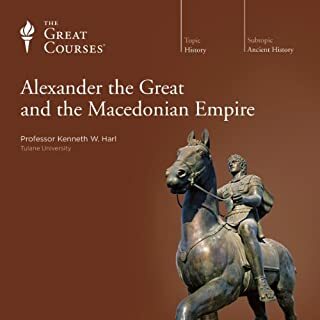 Immerse yourself in this comprehensive survey of ancient Greece from 750 to 323 B.C.-from the emergence of Greece at the end of the Dark Ages to the final disintegration of Greek autonomy through the Macedonian kings Philip II and Alexander the Great. 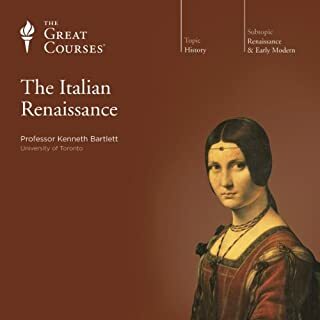 The effects of the Italian Renaissance are still with us today, from the incomparable paintings of Leonardo da Vinci to the immortal writings of Petrarch and Machiavelli. But why was there such an artistic, cultural, and intellectual explosion in Italy at the start of the 14th century? Why did it occur in Italy? And why in certain Italian city-states such as Florence? Professor Bartlett probes these questions and more in 36 dynamic lectures. 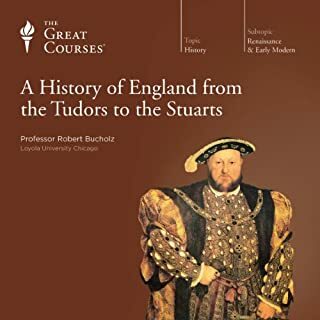 These 36 lectures tell the remarkable story of a tumultuous thousand-year period in the history of England. Dominated by war, conquest, and the struggle to balance the stability brought by royal power with the rights of the governed, it was a period that put into place the foundation of much of the world we know today. 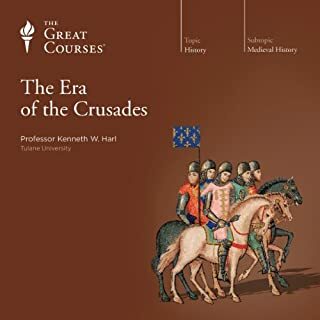 As you journey through this largely chronological narrative - occasionally interrupted for lecture-long explorations of specific topics - you'll see key themes emerge, including the assimilation of successive waves of invaders, the tense relationship between kings and the nobility, and the constant battles over money and taxation. 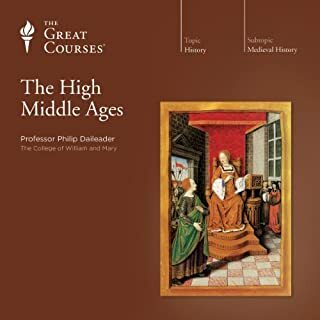 And because so much of history is driven by specific individuals and not just historical circumstance, each lecture is rich in intimate portraits that reveal those individuals at the key moments of their historical destiny, including Alfred the Great, William the Conqueror, Eleanor of Aquitaine, and John Wycliffe.The result is a lecture series that winds up being not only informative but deeply entertaining, with each lecture drawing you in with its own particular fascinations, including a probing look at the scope of the Black Death, a realistic examination of the legends of both King Arthur and Robin Hood, a riveting description of the Battle of Bosworth Field, and a discussion of the surprisingly nuanced penalties of the early Germanic law codes. 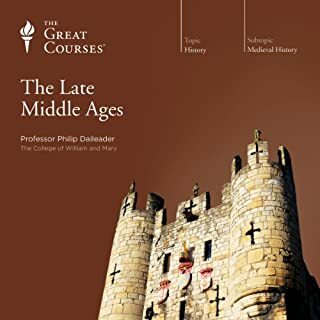 These lectures consistently deliver a fresh level of understanding about medieval England, its rulers and subjects, and their significance for the world we live in today. The chain of theme and event that links our world to theirs will never be clearer, rewarding every moment you spend with this series. Subject well-organized with a clear progression the a name heavy topic. only complaint - could have been w lectures longer to cover some of the important queens. 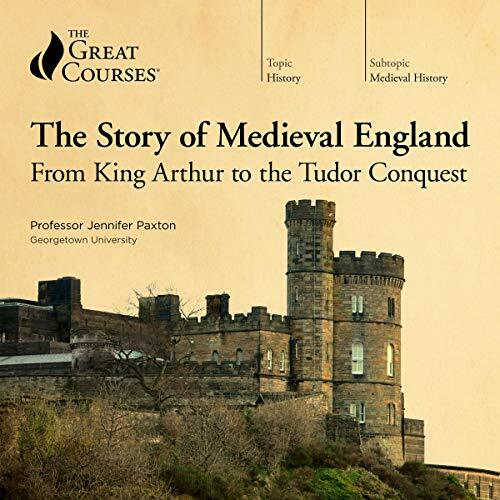 Jennifer Paxton does a wonderful job of taking the listener through the complexities of the history of England from the Roman time to the Tudors. It is clear enough for non academics, but Paxton maintains an academic (although accessible) tone. She covers an incredible breath of material in clear narrative fashion. She references her sources and is clearly and authority on her subject. I learned a lot and I enjoyed it a great deal! 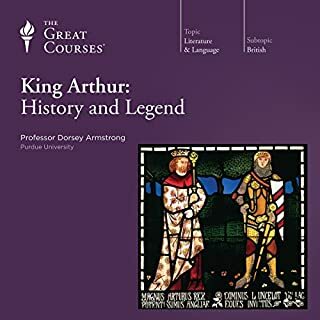 Where does The Story of Medieval England: From King Arthur to the Tudor Conquest rank among all the audiobooks you’ve listened to so far? I can't answer this question because it's just . . . different. I'm a literary fiction person, and I've tried to get into historical texts before with little success (I know it's sacrilege, but I stopped part way through 1776). I've had some success with biographies. 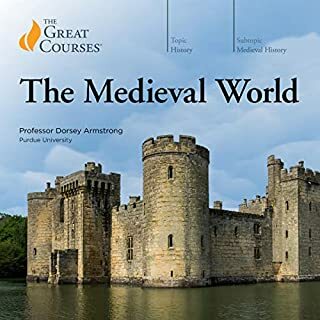 This was my first attempt at a Great Courses program, and I picked it up because I had just read Pillars of the Earth (and, side note, READ THAT), and I couldn't get enough of Medieval England. The complexities really drew me in. So I somewhat reluctantly downloaded this program and had one of those glorious experiences where I couldn't unplug. I've reorganized my entire home and office to have some excuse to keep listening. History has always been tough for me because I'm not a great linear thinker, but Paxton really helped with her guideposts at the beginning and end of each lecture, as well as at the beginning and end of the series. I can't say enough good things about this lecture. I keep bringing it up in my real life. 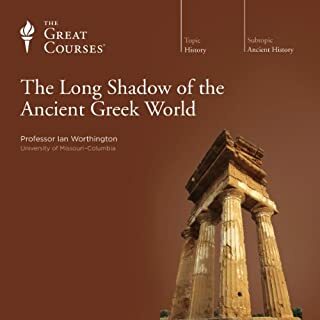 I didn't think I'd have a good experience with lecture series (though lectures have always been my favorite part of school--related to the fascination with audiobooks), but I am so enamored with this one that I'm moving on to the Ancient Egypt lecture. If you're hesitating, don't. Paxton is a great storyteller and keeps you engaged throughout. I love how much Paxton loved the wife of Bath. She is audibly exited to talk about her, an as an amateur Chaucer scholar (read: I took a course once), I got a kick out of her discussion. 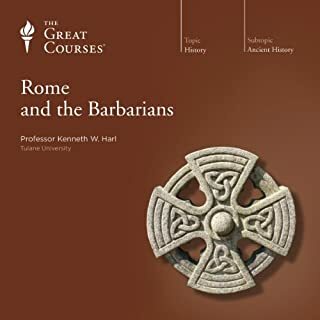 This lecture series is hard to compare to other audiobooks, but I've greatly enjoyed listening to it. The story is fascinating, and Professor Paxton delivers a very intelligently crafted story that ties in all the major historical events in England. It provides a real sense of depth while still being quickly paced and simply stated. I really enjoyed how this story lays out the events and people so it is easy to follow as you move from beginning to end. Sometimes it felt like there was a lot of trivial information, but it usually came back around to play a larger role. Because of how the story was organized it never got boring or too dry. What does Professor Jennifer Paxton bring to the story that you wouldn’t experience if you just read the book? Reading something like this can sometimes seem like something that should be reserved for academics, but having Professor Paxton narrate the story brought energy to an otherwise dry tale. There is very little indication that she's actually reading anything at all, so the overall sense is like you're just being told a story by someone who knows A LOT about this stuff. I would have never been able (or even wanted) to get through all of this information without an energetic voice to guide me through it. 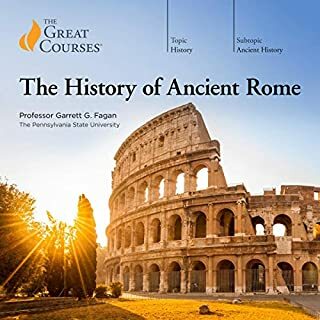 I was initially concerned when I downloaded the audiobook that I wouldn't be able to sit and listen to someone drone on and on about ancient history. I didn't want to be buried in all the names of lords and kings and various locations of interest. I was pleasantly surprised that the delivery of the information was so lively compared to what I was expecting. There are obviously going to be a lot of names and places in a story like this, but they are only mentioned as far as their relevance will allow. 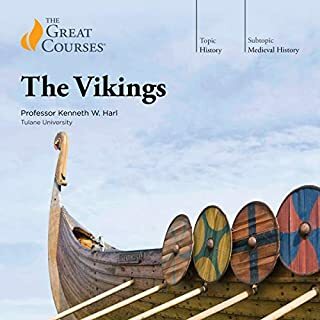 Trying to fit the whole history of Medieval England into one volume is a daunting task, and this book does a great job of trimming the fat. Fascinating content from an engaging instructor. This course runs like a novel with chapters rather than a series of half hour lectures. Hats off to Jennifer Paxton for organizing and conveying the material in such an entertaining format! 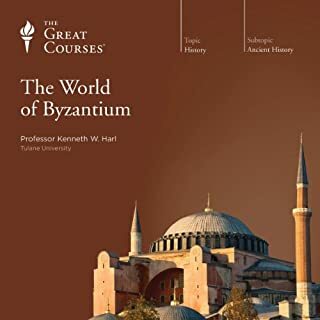 This is one of the best Great Courses history courses that I have taken so far. The professor is enthusiastic and knowledgeable. The difference between a good history professor and a great history professor is the ability to turn the history into a story. This professor is excellent at turning history into a story. I learned a great deal about both the history and politics of the era and feel much more educated about the early history of England. I never had an interest in the history of England until, per my headline, I was introduced to Game of Thrones, Pillars of the Earth and other medieval books. The (his)story in itself is fascinating and Dr. Paxton filters a 1000 years of history in a very informative and succinct way. Given that she is delivering a lecture series, I guess this what she is trained to do. Regardless, as a non-fiction work, it is highly entertaining and it moves very well. My only caution is to be ready for endless royal family tree connections that become confusing, but that is the essence of the subject and it is necessary. Also, Dr. Paxton does not make any pretensions about being a great narrator but her enthusiasm for the subject make up for the delivery. 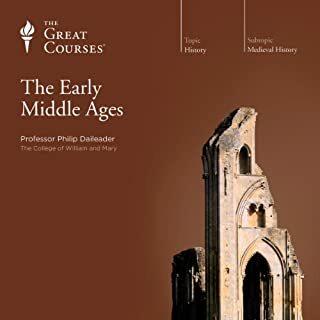 I have read and listened to many books and podcasts on medieval England. This was my area in college and I felt I knew it fairly well. This program gave me more information about the people and the eras, but more than that, it made the people seem more real than most books I have read. The professor made the times, people, and places feel interacted. I understood the relationships between events and people better after listening to this lecture series. I also felt the professor was more than reading notes, she was telling a story, and telling it well. 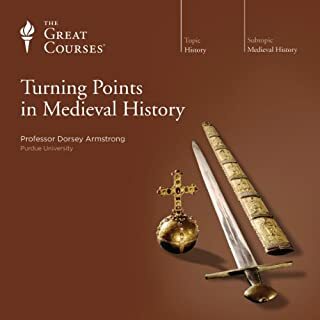 I recommend this program to anyone who wants a stroll down the lanes of the medieval English past. She left much out, there is little detail, but the events are there, the people are there, the motives and opportunities are there, and the listener is transported to the time and place. 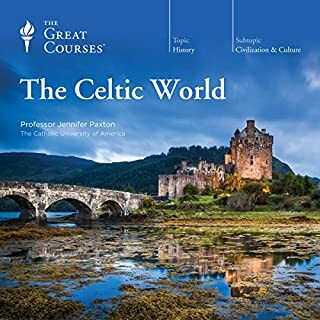 I've purchased several of these Great Courses Lectures. I've been pleased with nearly all of them. However, this is one that goes above and beyond my expectations. I am just thrilled with this particular book/course. What a treat I had coming!!! This professor presents the material in new ways, adding a depth and breadth of information and analysis that is truly edifying and fascinating! I could not stop listening!! The material is presented in a way fosters a more complete and well-rounded comprehension. It's exceptional. I HIGHLY RECOMMEND this to anyone interested in English history. Outstanding Professor!! I'm incredibly pleased with this lecture series!! This course was easy to follow. The lecturer came across as well organized and knowledgeable. She not only did a great job explaining the chronological events, but she provided good context for understanding the impact of those events in day to day life and in the world at large. Professor Paxton is both engaging and learned; her lectures were entertaining but she treats her subject with depth and perspective. Highly recommended. A great overview of the periods covered. It is just an overview of a large period of time so a lot is left out. But it doesn't feel that way when you listen. The Professor has a nice conversational style but is clearly very knowledgeable. I appreciate the occasional pauses to discuss culture or living conditions of the country. But the real story is the kings and sometimes their queens. I would say the lectures get stronger about the time of the Norman Conquest (which is pretty early in). More interesting but also the Professor seems on slightly more solid ground.